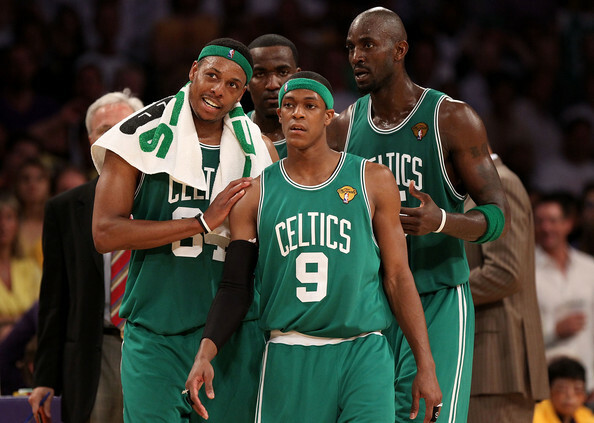 Hopefully todays Celtics tune in because they sure could use some advice from a team that finished the '08 season as the number one seed but had to fight through some early struggles in the postseason as they went 7 games in two series they were heavy favorites going into - albeit these Celtics are no where near the powerhouse of that title team despite also being the 1-seed in the East. It's perfect timing with a couple of games before game 5 back in Boston and I'm excited to hear all the things these guys might talk about. From the current team to Ray Allen's seclusion from their reunion festivities, maybe something on the Glen Davis beef with Doc Rivers, Pierce retiring and his final game at the Garden, Rondo's thoughts on his broken wrist in round one, and I imagine a ton of crazy/funny stories from their run together. I'm pretty stoked, and maybe it'll help heal some of the trauma I experienced last night watching that 26-0 run that has been haunting me all day. Area 21 airs at 7:30pm (EST) on TNT.